When you rent your property to a good tenant, you can rest easy knowing that you will get paid on time and that your property will stay in good condition. However, selecting a good tenant can be difficult after only a short meeting. 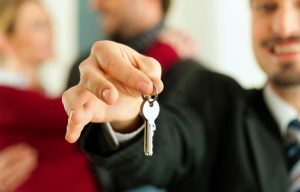 Here are a few tips on how to screen potential tenants. Request an application – Ask your tenant to complete an application from your local real estate association, or you can create a personalized application using online templates. Ensure that your application covers financial information, employment information, and personal information. It is also important to include that a background check, criminal history report, or a credit check will be conducted if appropriate. Run a credit check – You can run background checks online and charge the tenant for the cost of the check. A background check on your tenant will also include a credit check and therefore will give you information on your potential tenant’s credit history, as far back as 7-10 years. Contact the previous landlords – It is a good idea to get the help of a tenant screening service that will contact the tenant’s previous landlords to assess the tenants stay. Most services will look at outstanding debt, late payments, damage to the rental unit, tenant disruptions, etc. Tenant Screening Services, LLC provides tenant verification services for landlords.